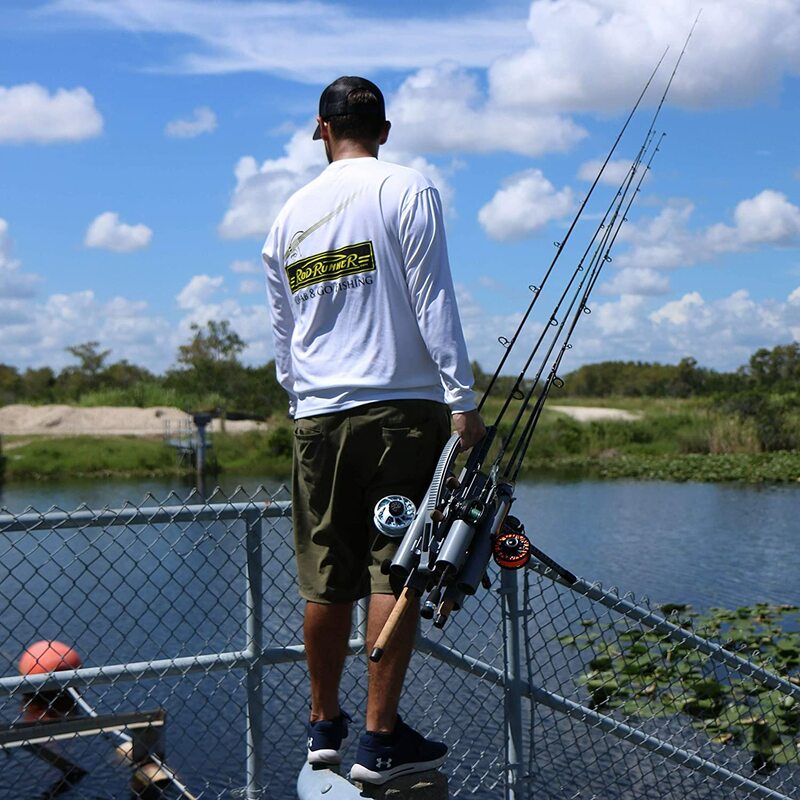 PROTECTION – Easily carry up to 5 fishing rods in one hand without tangling lines, breaking guides, or damaging expensive rods and reels. 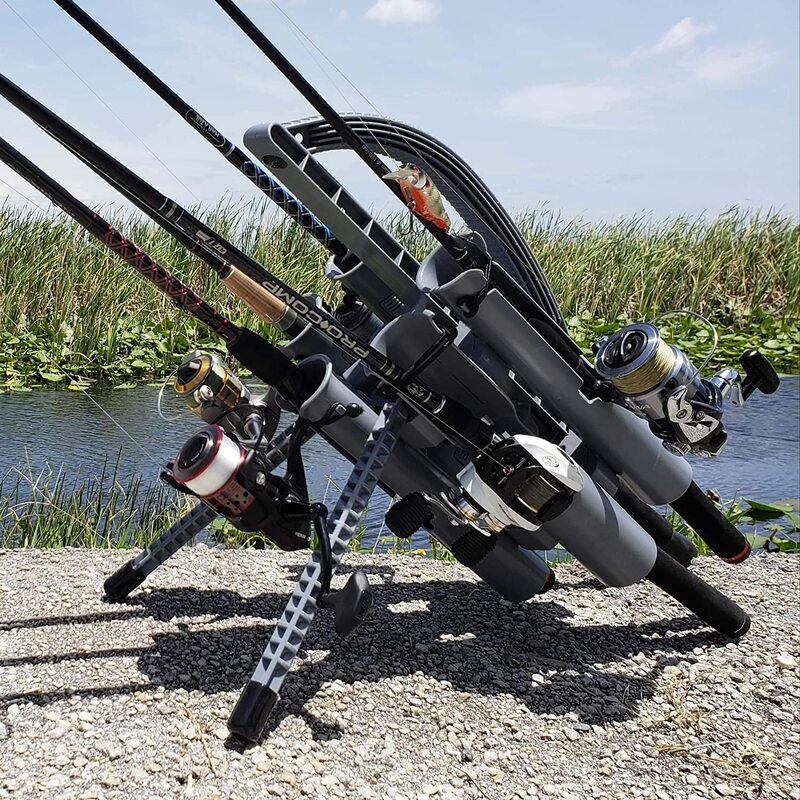 TRANSPORTATION – Quickly load Rod-Runners in SUVs, pickup trucks, cars, boats, even kayaks for unmatched rod and reel protection during transportation. VERSATILITY – Capable of handling light or heavy fishing tackle! Including spinning reels, baitcaster reels, fly fishing reels, surf rods, even offshore conventional rod combos with reels up to 50W! 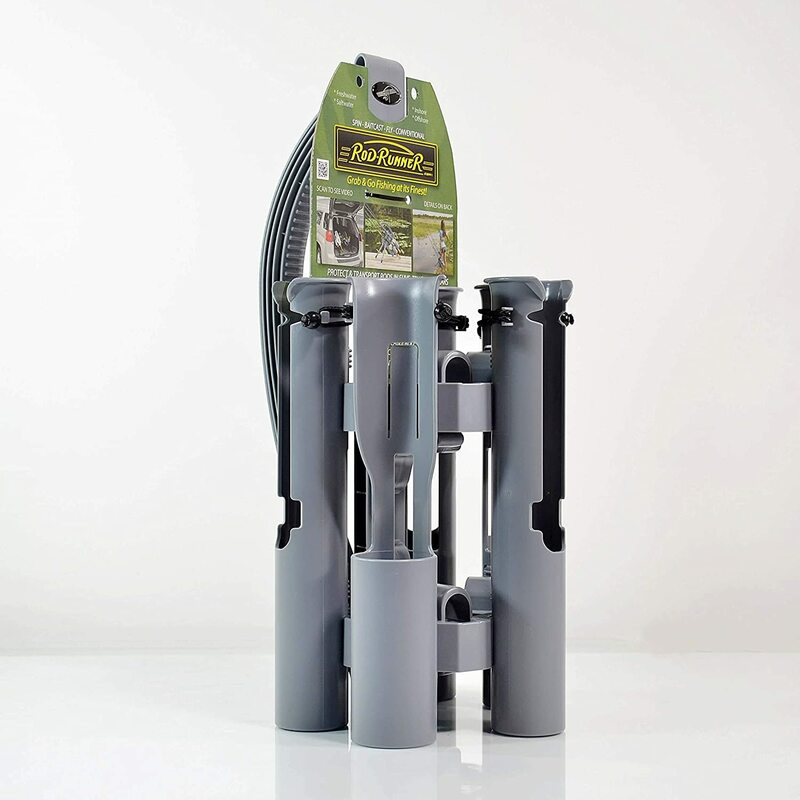 CONVENIENCE – Wash down and rig secured fishing rods with ease to spend more time fishing and less time prepping and cleaning your fishing gear. DURABILITY – Hardened ABS construction with UV+ inhibitor to hold up in any environment; from bass fishing to surf fishing to ice fishing! Lightweight and compact design for easy storage.